Famous for powder skiing, Park City, Utah, features two world-class resorts just 35 minutes away from the Salt Lake City airport. 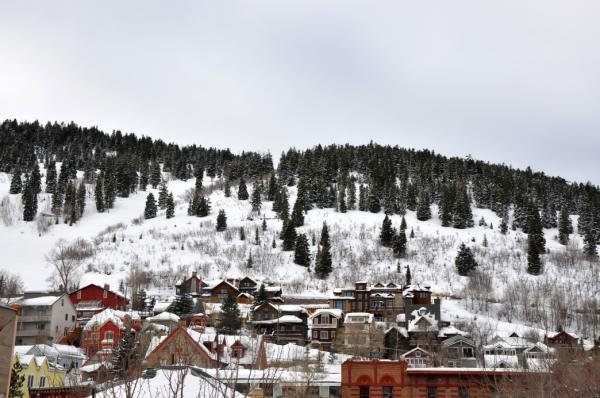 You don’t need a car to explore Park City’s sights, thanks to the free town transit system. Take a shuttle from the airport to town then use the system to reach Historic Main Street, recreation areas, both ski resorts, and Utah Olympic Park. On Main Street, use the free trolley to skip the long hillclimb. This year, Park City added a new fleet of Electric Xpress buses, becoming the first city in the country to implement a fleet of zero-emission electric buses. The Electric Xpress buses are scheduled to run every ten minutes between Kimball Junction and Park City Transit Centers via State Route 224. The express route operates from 7:00 AM to midnight, seven days a week, and features stops at the Canyons Transit Hub and Fresh Market. The new buses feature oversized windows, USB outlets, and free WiFi. Utah is famous for powder skiing, and it&apos;s signature slogan, The Greatest Snow on Earth™, has graced the state’s license plates since 1985. Powderhounds from around the world travel to Utah each winter hoping to catch a Monster Dump, when 12 inches or more fall in a 24-hour period. And while there’s never a promise of fluffy powder, Utah averages 18 such days a year, so there’s a good possibility of catching one during your vacation. 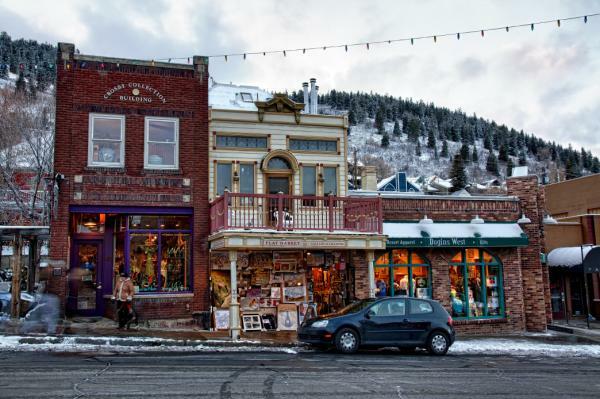 Park City is one of the best preserved mining towns in the U.S., and you’ll see historic shops turned into vibrant art galleries, independent boutiques, and inventive restaurants as you explore Historic Main Street. Stock up on souvenirs at the many shops, buy a good book at independent bookstore Dolly’s, or find fresh threads from boutiques like Mary Jane’s and DiJore. One bar to rule them all? Nope, not here. Unlike ski towns where everyone gathers at one bar, Park City features 150 bars and restaurants spread all over town, ranging from chill breweries to classy wine bars to high-end cocktail lounges. Find goggle-tanned locals at classic haunts like O’Shucks, home to cheap schooners of PBRs and free peanuts, and No Name Saloon, where you can sip Utah beer on the year-round heated patio. Or go full Irish with a draught Guinness at Flanagan’s historic underground tavern. Class it up at Firewood on Main’s moody basement lounge, or the Nickel Bar, with craft cocktails made with local libations like Antelope Island Rum and High West Double Rye. For a more relaxed après scene, head to Old Town Cellars for a cheese plate and a glass of Mountain Town red wine. From massive ski-in, ski-out resorts to cozy bed and breakfasts, Park City’s lodging options are as diverse as its ski trails. 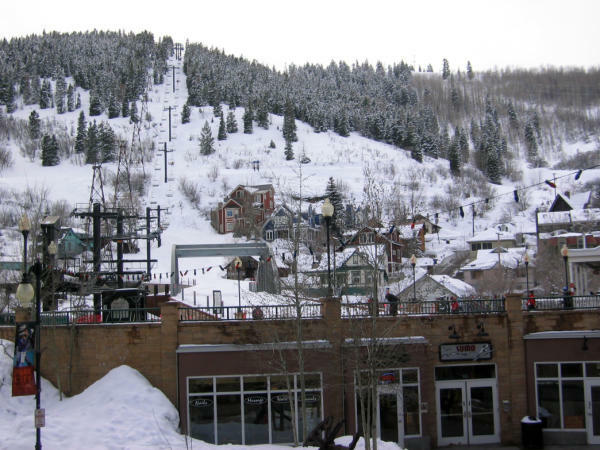 Stay downtown and enjoy walk-in access to the town’s bars, restaurants, and sights, or hang your skis at Deer Valley or Park City Mountain’s hotels to maximize your time on the ski hill. Just steps from Main Street, Washington School House blends timeless luxury with historic charm, and includes a hearty gourmet breakfast every morning. At Deer Valley, the Montage’s nightly s’mores, comfortable beds, and heated pools are welcome treats after long ski days. For wow-worthy rooms on a budget, pick Newpark Resort in Kimball Junction. Suites have their own balcony hot tubs and you’re right next door to a local pizza favorite, Maxwell&apos;s.
If bluebird groomer cruising, award-winning service, and incredible eats make you happy, Deer Valley’s your resort. One of just three skiers-only resorts in the country— two of which are in Utah— at Deer Valley, crowds are nonexistent. Ticket sales are limited each day to ensure you have plenty of space to spread out and ski the resort’s 2,000 skiable acres and 21 chairlifts. It’s impossible to talk about Deer Valley without mentioning the legendary cuisine. Thaw out on-mountain with their signature turkey chili and hand-sized chocolate chip cookies, or take a ski break like a celebrity at the Veuve Clicquot champagne yurt where glasses of bubbly are paired with cheese and charcuterie plates. 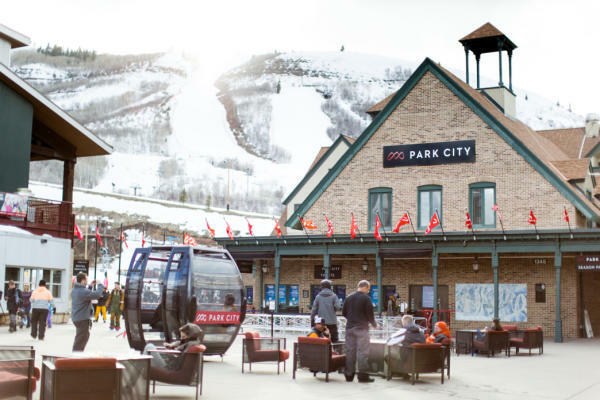 The union of Park City Mountain Resort and Canyons Resort via its purchase by Vail has made it one of North America’s largest ski resorts. And Vail’s ownership makes it part of the popular Epic Pass program, meaning you can ski for free here if you have one. Beyond that, Park City has terrain for every level of skier and snowboarder from magic carpets that help little ones learn to terrain parks and halfpipes for perfecting flips, jumps, and rails. Explore old mining relics on the Park City side, or take a gondola across to cruise long groomers and avoid crowds on the steep powder terrain. When it comes to eats, don’t expect your typical ski fare. On-mountain establishments like Cloud Dine and Miner’s Camp serve up fresh salads, flatbreads, and Mediterranean kabobs with patio seating and mountain views. Do the ski-boot shuffle from your Main Street hotel to the Town Lift and ride all the way to Park City Mountain’s famed terrain. This chairlift offers the best views of Main Street and the Wasatch peaks, and you can ski all the way back at the day’s end on the Quit&apos;N Time run. Utah’s first distillery since Prohibition, High West Saloon is also the world’s first ski-in gastro-distillery. After an epic day of shredding, ski down Park City Mountain Resort’s Quit&apos;N Time run to this historic livery stable turned saloon for handcrafted cocktails made with their award-winning whiskies. Warm up with a hot toddy or spiked coffee topped with whipped cream. Not a bad way to end the day—or a vacation in Park City. Park City might be best known for its two resorts, but beyond the slopes you&apos;ll find plenty of excitement. Tubing, Nordic skiing, snow biking, dog sledding, stand up paddleboard yoga in a geothermal crater— you name it, you can do it in Park City.